Summit Orthopedic Therapy is an excellent training ground for individual fitness and wellness. Our spacious center is equipped with State-of-the-art equipment, exercise tools and therapeutic modalities to compliment the many programs designed by our therapists. The professional staff consists of Physical and Occupational Therapists dedicated to providing the highest quality of care to our patients. We are committed to The American Physical Therapy Association’s (APTA) Vision Statement for the Physical Therapy Profession, “Transforming society by optimizing movement to improve the human experience”. We understand that each patient has unique rehabilitation needs, and therefore begin each course of therapy with a comprehensive evaluation. We work with the patient to establish a specific plan of care and identify both, short-term and long-term goals. 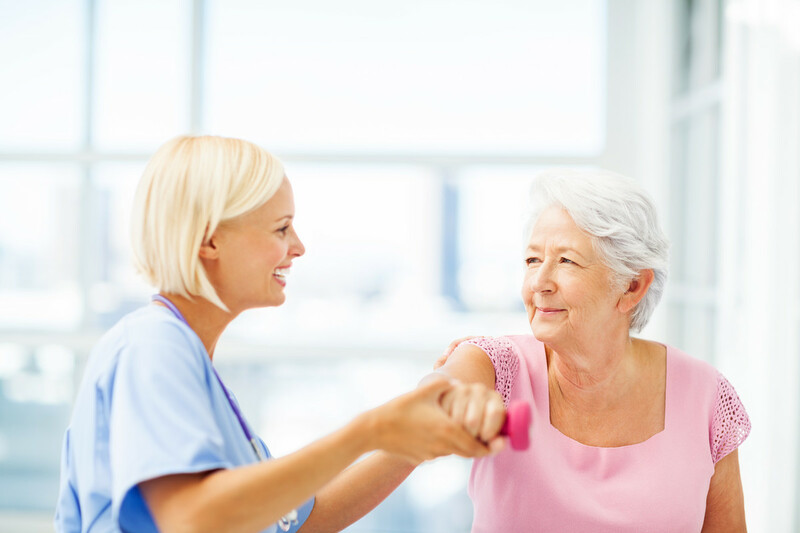 We recognize that it is a partnership between the therapist and the patient and we are committed to working with the patient to successfully complete their rehabilitation needs. In addition to therapeutic intervention, we educate our patients so they may benefit from their experience and use newly learned tools for years to come.